Vienna, 1899. Josef Breuer - celebrated psychoanalyst - is about to encounter his strangest case yet. Found by the lunatic asylum, thin, head shaved, she claims to have no name, no feelings - to be, in fact, not even human. Intrigued, Breuer determines to fathom the roots of her disturbance. Years later, in Germany, we meet Krysta. Krysta's Papa is busy working in the infirmary with the 'animal people', so little Krysta plays alone, lost in the stories of Hansel and Gretel, the Pied Piper, and more. And when everything changes and the real world around her becomes as frightening as any fairy tale, Krysta finds that her imagination holds powers beyond what she could have ever guessed . . . The cover of this book is so appealing. It really stands out and even though it is a hardback book, the picture is actually on the book not on a dust jacket and it is smaller than other hardback books which I think gives it more appeal and it reminds me of an old fashioned fairytale book; and fairytales play a prominent theme in Gretel and the Dark. So if it has been done for that reason then it's really clever. I was a little confused when I first started reading this as there seemed to be a lot going on and two main different stories. But as I got a bit further into it, it started to make sense and then it was one of those books that consumed me and I could not get it out of my head; even now. In Vienna, Joseph Breuer meets a woman his gardener Benjamin finds naked and bruised in the street, she says she has no name and is a machine, not human and that she must kill the monster. Taken in by her beauty Joseph is determined to find out who she is and where she came from. Many years later in Germany, we meet Krysta who has lost her Mum to suicide and her Father is too busy working in the infirmary with the 'animal people' that he has been forced to work with. So Krysta is very alone, but she gets lost in the fairytale stories of Hansel and Gretel, The Pied Piper and many more. So when Krysta's life gets thrown into a nightmare, her fairytales and imagination have more powers than she ever could have imagined. I really was blown away by the author's way of storytelling in this incredbile book. She writes so that never ever feels completely real; you are always just on the edge of reality, looking in, so you never experience the true horrors of the story from a first hand account but through fairytales. You get the understanding of what has happened or is going on, but like Krysta you are almost protected by her imagination. I became more caught up in Krysta's story as even though a lot of what happens is told through fairytales, her story had more a solid grounding than Joseph Breuer's. His story felt more fairytale like and I kept wondering how this story was connected to Krysta's story that was some forty years later. When I discovered how the two stories were connected is was nothing short of an amazing, if heartbreaking revelation. It tells us how through the use of our imagination we can escape the reality around us and the things around us that are not so nice bearable. A really incredible, poignant and powerful story that I know I will not forget. 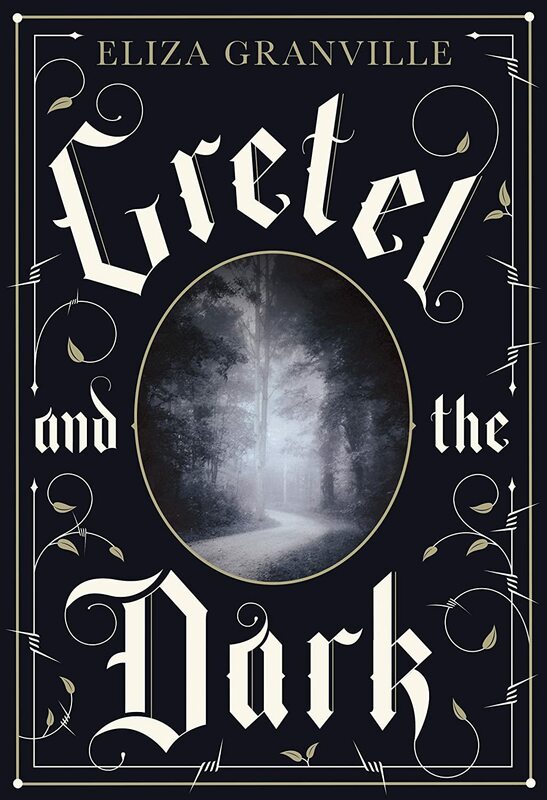 Gretel and the Dark is available from Amazon UK, Waterstones and all other good bookshops. I've heard such great things about this series!! I'm so glad you loved it. Great review!